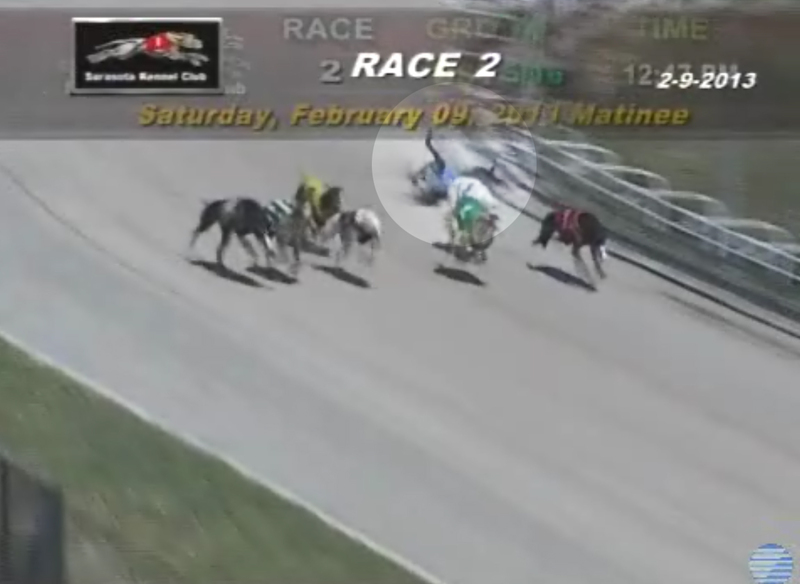 Yesterday, the Sarasota Herald-Tribune reported on two fatal greyhound injuries that occurred at Sarasota Kennel Club, including a dog that died after apparently being electrocuted. This coverage followed a state investigation that was launched in February, after GREY2K USA provided regulators with information from a confidential source. "Dog fell or was pushed within 20 yards of leaving box. Fell under rail. Death by electrocution, burns on jacket." Despite Mo's death, business continued as usual at the track. According to the state report it was determined that "there was no interruption of positions caused by the early incident" and the race was declared "Official." Further, the track lure operator told regulators he was "thankful that no one was seriously injured." "I again spoke with DVM David Wyatt, about any additional electrocutions that had recently occurred ... He showed an entry in his Treatment & Injury Sheet. It involved, 'Se's Yukon Joe' which hit the guard rail going into the first turn, he then continued to run and collapsed after the far turn ... Cause of death was listed as unknown; consider electrocution, cardiac arrest, brain hemorrhage, aneurysm, etc." 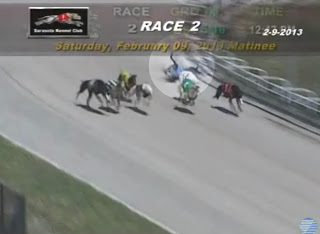 Finally, another state investigative report indicates that at least fourteen greyhounds died at Sarasota Kennel Club between November 2009 and April 2010, including three greyhounds that died on the same day. "Dogs are euthanized for reasons other than accidents." To our surprise Bowersox also claimed that the track's injury records are open to inspection, but added that he would "prefer not to send" them to me. 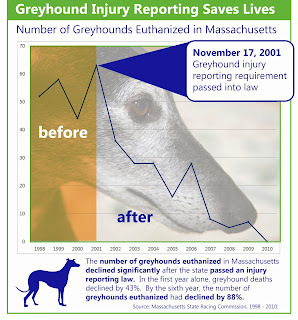 This was shortly after GREY2K USA sent the track a letter urging it to voluntarily release its greyhound injury data. So far, we have not received a response. The sad death of Raiders Uncle Mo is another example of why greyhound injury reports should be made available to the public. If we had not received a confidential tip, his fate would have been simply swept away as another nameless dog. 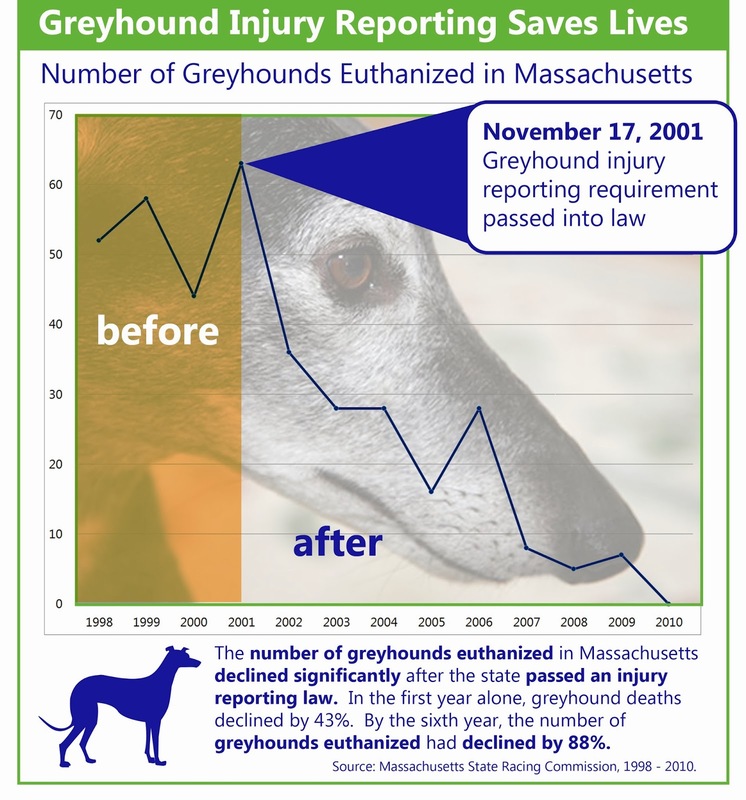 All of the greyhounds racing in Florida, and elsewhere, deserve better. Oh dear. Greyhounds are so gentle and loving. 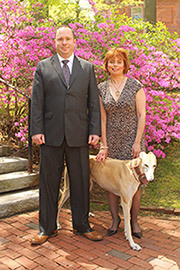 Greyhounds are so gentle and loving they don't deserve to be abused or mistreated.